As an official NAPA AutoCare Center, Rochester Radiator customers receive 24 months/24,000 miles worry-free protection on qualifying parts and labor. This "peace of mind" warranty is honored nationwide by 14,000+ NAPA AutoCare Centers, so you're protected even when you travel. Within two years or 24,000 miles, for warranty service outside a 25 mile radius of Rochester, New Hampshire, contact the NAPA AutoCare Warranty Administrator at 800-452-NAPA (6272). 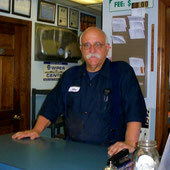 For warranty service inside a 25 mile radius of Rochester Radiator, contact Mike at the shop 603.332.0286 for warranty repair information.